This Product is specially designed for N-Switch original stand. It's cooling for N-Switch game console. 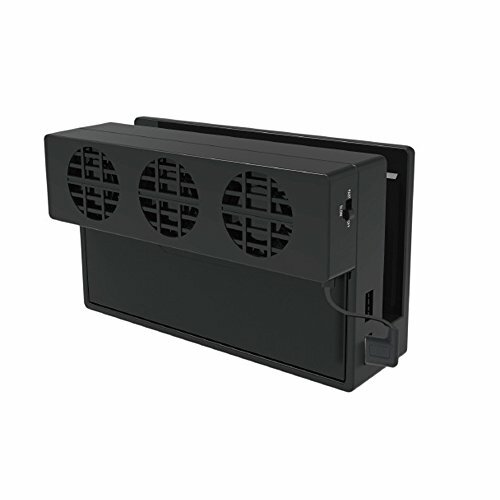 There are three cooling fans inside the product, easy to reduce the N-Switch game console temperature quickly and effectively. It has the function of closing, slow and fast switch. Beautiful appearance, practicality and convenience. The USB input voltage of the power supply is 5V DC 500mA. 1. Please pull the power plug when this product unused. 2. Do not use and store it in a humid environment. 3. Please keep it from dust and heavy press to prolong its life span. 4. Please stop using it when it is with electrical problems caused by soaking, crash or damage. 5. Do not use external heating devices like microwave to dry it. 6. Do dot disassemble it if it is broken, and send to the Maintenance department for repair by your first convenience. 7. Children are forbidden to play the product. If you have any quality issue, please feel free to contact SUNKY. If you have any questions about this product by SUNKY, contact us by completing and submitting the form below. If you are looking for a specif part number, please include it with your message.